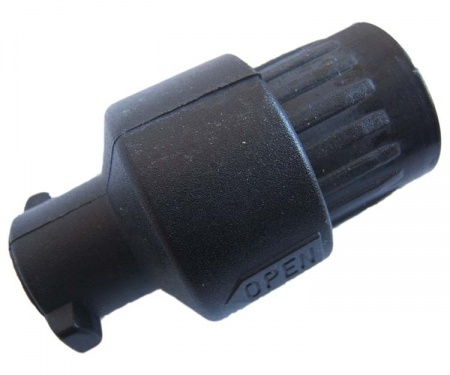 This bayonet joint fits on the end of a roof pole and connects into a left, right or center connection point. Once inserted into the connection point a simple twist of the pole locks the bayonet joint into the connector. A clear 'open' sign on the side of the bayonet fitting, allows you to twist the pole into the correct position to remove from the joint in which it is situated. The bayonet's dimensions mean that it is designed to fit an awning or tent pole with an overall diameter of 25.5mm ( Note: 25.4mm is an inch, so this is almost exactly an inch ). 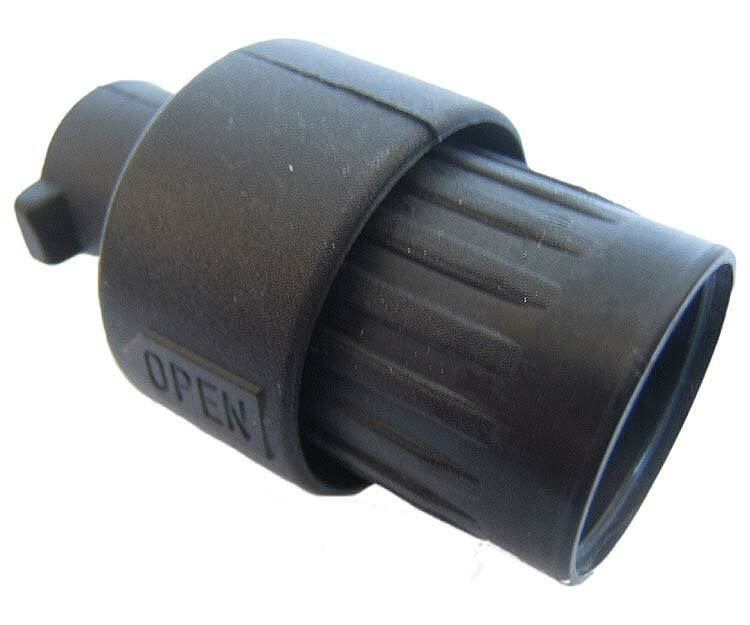 This bayonet fitting is part of the Dorema Fibre Tech Fibreglass Frame System.